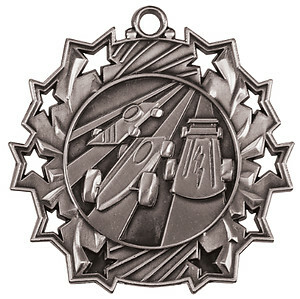 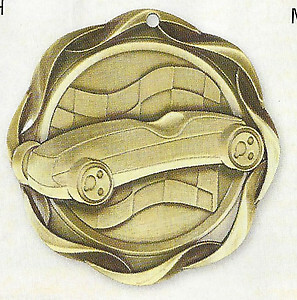 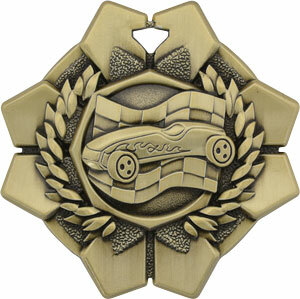 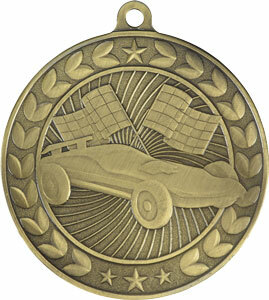 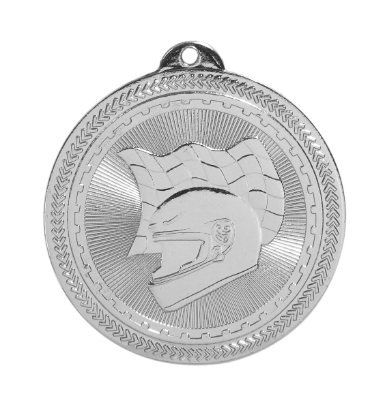 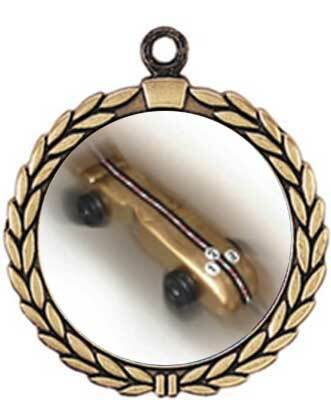 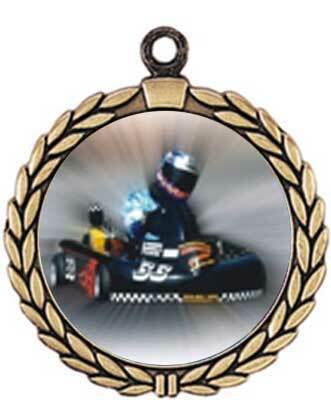 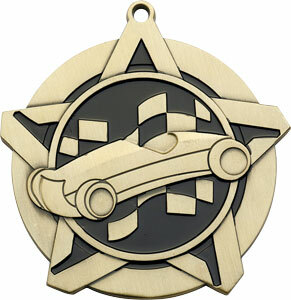 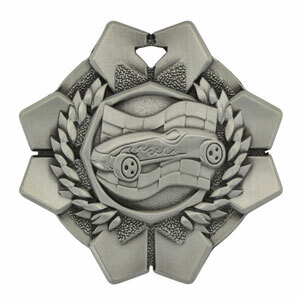 Racing medal for all types of racing, including pinewood derby and go-cart races. 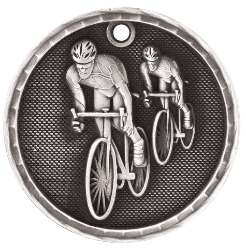 We also offer a bicycling medal. 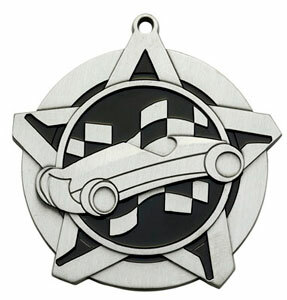 We have inserts with checkered flags, pinewood derby car, go-cart, stock car and cycle racing of all types. 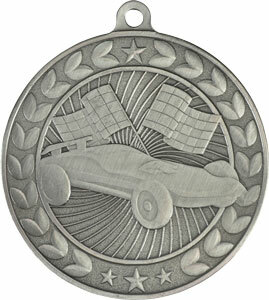 These medals are 2 ½ inches and may be purchased with or without ribbons.